Recently the story of Poor Circulation has appeared in the Northern Echo, England’s premier regional newspaper. I’ve had many emails from well wishers and old friends that I haven’t seen since school days and many questions have been asked about the journey, .. some of which I can answer now and some of which will have to wait until after America. ‘Blue88’ is my old courier call sign back in London with CitySprint. I’ve actually been ‘Blue07’ for the past few years but ‘Blue88’ is the name that I’ve used when writing for The Riders Digest and until now, …. has provided me with a little anonymity. It’s allowed me to write freely and honestly for the magazine without fear of retribution, ……. but I guess that’s all changed slightly now. Since this journey began at the Ace Café on 21st April 2008, I’ve been wearing my blue CitySprint courier vest. 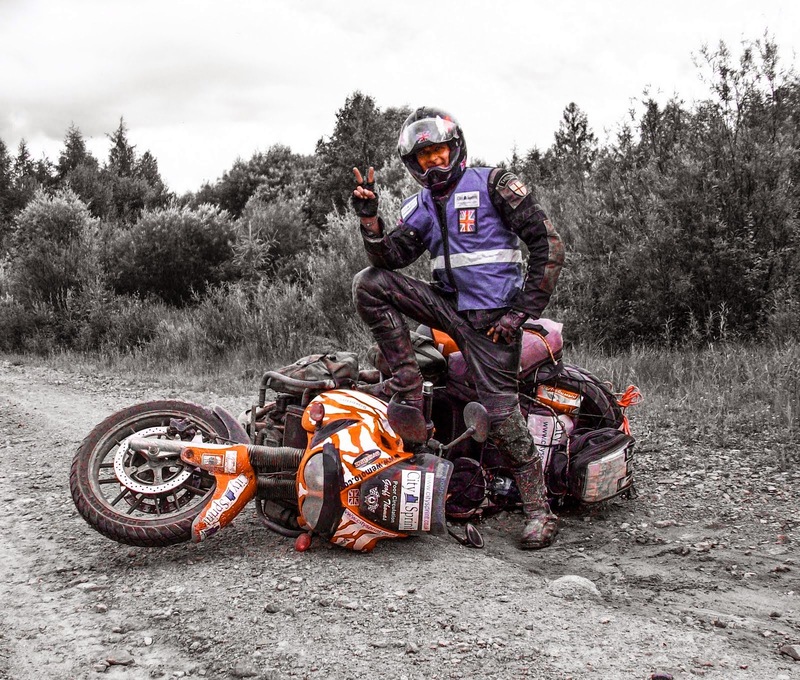 The intention has always been to ride to Vladivostok and once here have the vest signed by the Iron Tigers M/C. The signing of the vest is now almost complete with messages of support from many of the club members. On returning to the UK, the vest will be auctioned on-line and the money raised will go directly to St Teresa’s Hospice in Darlington. As for the ‘Special Package’ that I’m carrying to Boonville Ca., … well I believe that the good readers of The Northern Echo are already aware of it’s contents, ….. the rest of you will simply have to wait a little longer. No, I’m not being ‘paid’ to do travel around the world, …. but I wish I was. Before leaving England I sold everything that I didn’t need for the trip (It’s amazing what people will purchase on eBay) and wrote to hundreds of companies, small and large, asking for a spare part here or a free ferry ticket there. The response was amazing and the companies that I need to thank are listed on the right side of this blog. 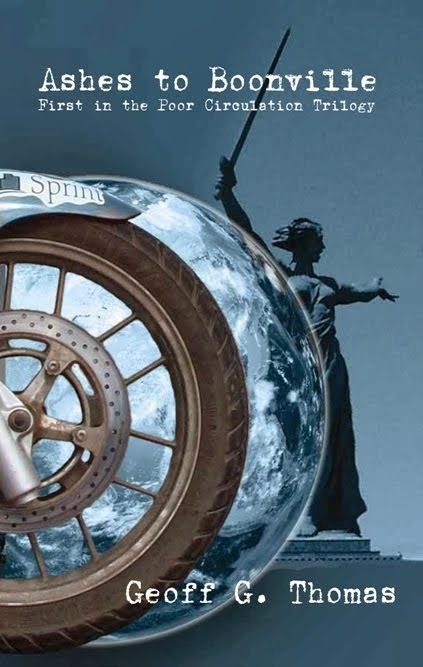 As for CitySprint, they are the company that I worked for in London and they have stepped in and made a contribution towards the cost of fuel without which this journey would not have been possible. The names written on my ‘Top Box’ are mainly of people who have donated to my chosen charity via my ‘JustGiving’ page. Each time a new donation is made, I write the name of the donor onto the bike and in a small way, … they travel with me. The names that carry small red stars are friends who have sadly died, many through illness and many through motorcycling accidents. No, you don’t need to be an expert rider to travel like this, .. just look at me. 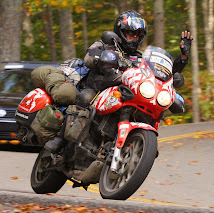 Honestly, any bike and any rider with a few months experience could do this. Just believe in yourself and believe in the goodness of the people that you meet. When you travel you have to be trusting of people, ….. otherwise you’ll always be travelling alone. There are a million more questions that I need to answer but will do so by email. The Brazilian Bikers that were two days behind us on the Amur Highway have just arrived in town. We think that one may have had an accident which accounts for their delay and the Iron Tigers are going out to bring them back to the Clubhouse, …… I hope that this level of kindness will be shown to fellow travellers in Blighty.